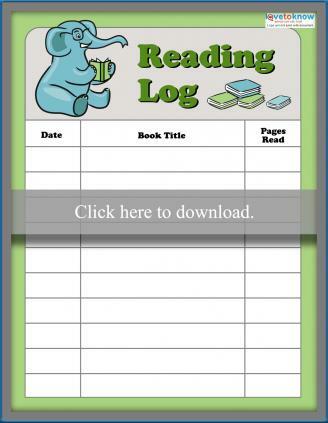 The printable reading logs below will help your child track what he reads. There are four different logs. The logs that track by minutes or pages read work best for younger children, who may need to see immediate rewards and may not read quickly. The logs that offer a place to mark the date a book was completed or a summary of the book work better for older readers. 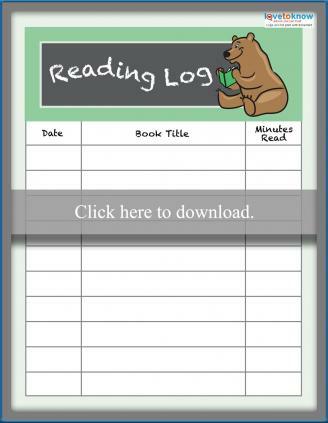 To download the reading logs, click on the image of the printable page. Use the print icon to print the page for immediate use or use the download icon to save for later. If you need assistance, this helpful guide to work with adobe printables. 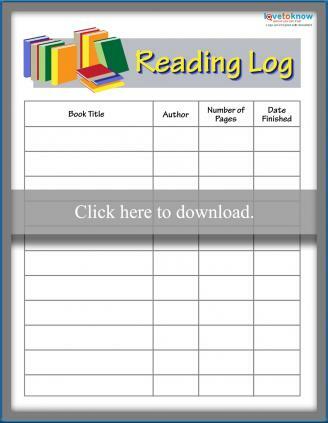 The reading log is frequently a requirement in the classroom so kids can prove they have read a minimum amount. With a little ingenuity, you can make your reading log a creative endeavor rather than just a piece of paper. Laminate the reading log and stick it on the fridge. For young children, you can use removable stickers, draw smiley faces, or even highlight a missed day so both parents and kids are on the same page in terms of what needs to be done. Have a slow reader? Highlight a line or two in the reading log. Let your child know that when he fills out a highlighted line, he will get a reward. Are the summaries bringing your child down? Try having your child draw a favorite scene from a book, copy a favorite quote, or give a review. All three tasks show mastery but can help lift a child out of the rut of writing a simple summary. Use a timer your child can hear. That way he knows he won't 'get stuck reading longer than he has to' and can concentrate on reading without looking at the clock every few minutes. If your child is having trouble completing his time, break it up. One chapter, a few pages, or even ten minutes might work better than one long, 20-minute reading session. Give your child something squishy while he's reading. 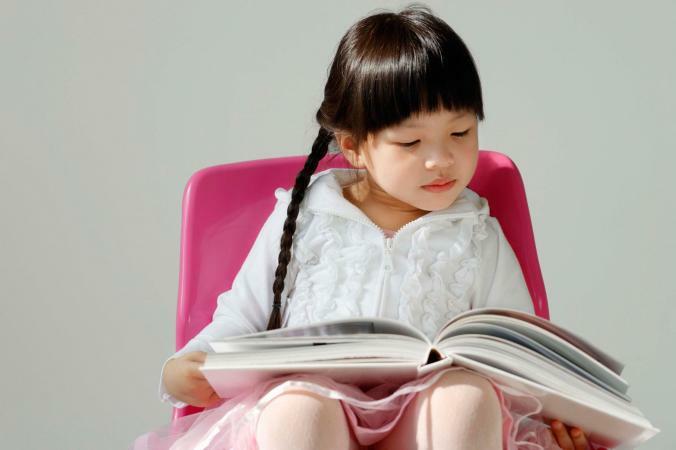 For many kids, the sitting still aspect of reading is nearly torturous. Give him a little Play-Doh or a squish ball he can play with his feet, and he might just be able to sit still long enough to read more than one chapter. Original Country Clipart Logs by Lisa Reading: Pick out a cute, country-themed log from the list of six designs, which are all offered in color or black and white. 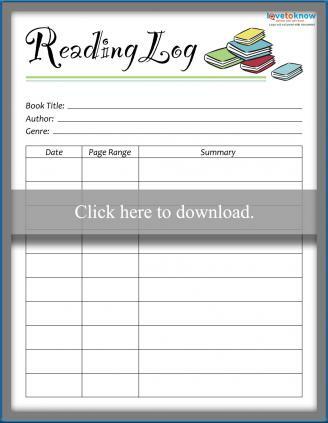 Enchanted Learning Reading Log Worksheets: Choose from three daily log sheets, four completion logs, a printable booklet, and a tic-tac-toe log that encourages reading different genres. Scroll down to find logs in the shape of pencils, rockets, and ice cream cones that serve as bookmarkers, too. Teacher Vision Reading Log Printable: This printable PDF log is great for older kids who are in middle school. This completion log includes an area for comments and reflections, as well as a table for keeping track of books kids are interested in reading in the future. BookIt! At Home Reading Log: Children who are too young to write can log their minutes by coloring in the "20" on the dates they read with parents for 20 minutes or more. This site also has reading logs to track the number of pages read or the number of books completed. edHelper.com Reading Logs: Over 20 different reading logs are available for printing, organized by a topic of interest or season. Create one by clicking on the first Reading Log PDF link and entering the information required. The reading log is an invaluable tool that can be used to encourage kids to read more. Not only do logs help kids keep track of reading, but experts note students gain confidence when they use self-monitoring tools like reading logs. In addition, having a visual log helps kids pick up a habit that will turn into a lifelong love of reading.